Yep. Another four months have elapsed and Count Dracula nipped on my arm once again. I should be able to see the results online late Thursday night if historical patterns hold true. It’s funny. I’m at the point where I’m not at all worked up about the results. In my mind, I’ve already reconciled that they’ll likely come back slightly higher than the last time (0.10 ng/ml). There’s not a damned thing that I can do about it, so why worry? I’ll save that for The Decision. Of course, I can’t let a PSA post go without a spiffy chart. Remember, the blue data points are my actual historical PSA readings; the red data points are predicted future PSA results. I don’t want to say that the “Decision Zone” is purely arbitrary, because it’s not. 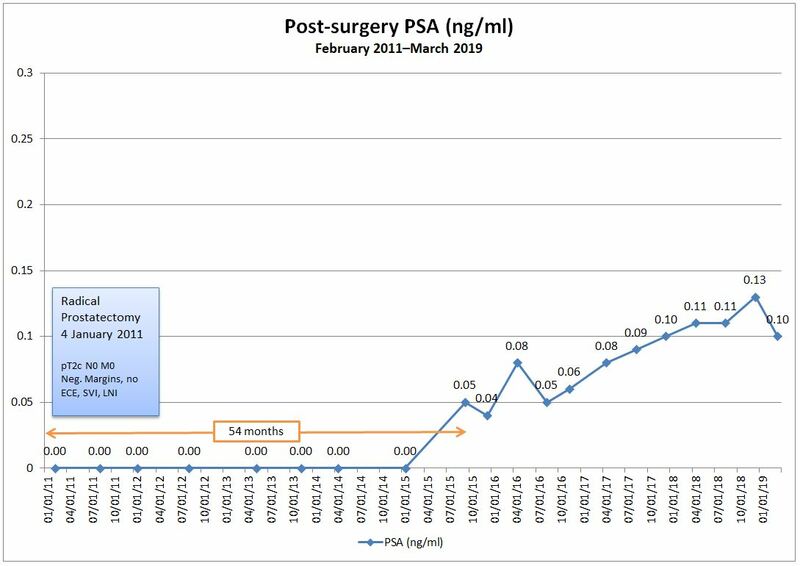 Studies show that earlier salvage radiation is more effective, plus my doctor was suggesting we start thinking more seriously about what’s next when the PSA hits 0.15 ng/ml, give or take a hundredth of a nanogram or two. 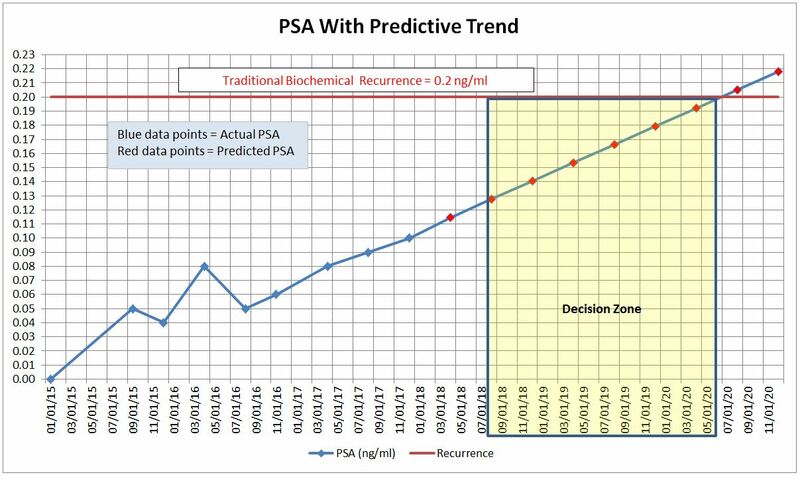 I also know that, as the PSA continues to grow, the linear trendline will likely become more of a curve with an increasing slope. Hey Dan, good luck I hope you get an upside surprise. As you may recall, we are sort of tracking each other. Same exact pathology. And I’m behind you, but rising, I got a .06 yestetday, up from .046 five months ago. So, I guess I’m saying …. “I feel ya, man”. Hey Ken. Good to hear from you, but sorry to hear you’re trending upwards, too. Hang in there. Waiting for test results is a killer.